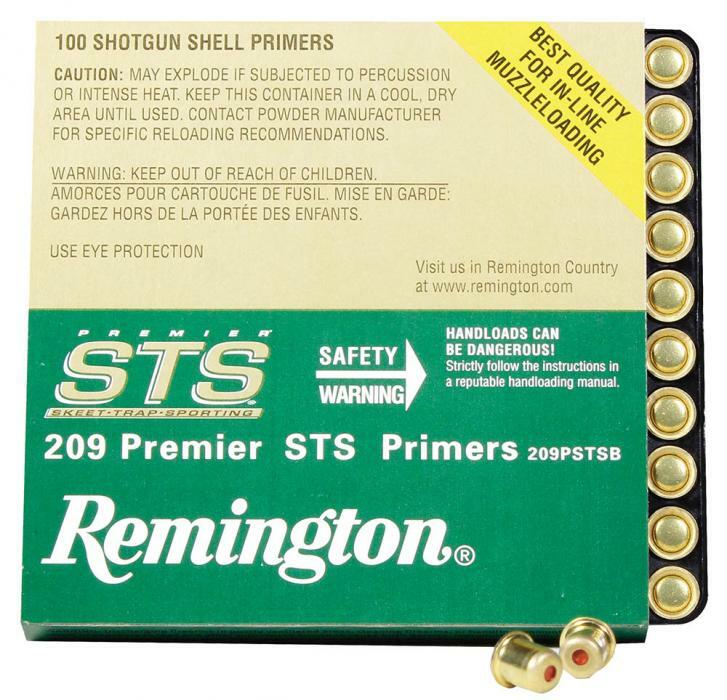 Extensive testing with a variety of commonly-used reloading powders has shown that new 209 Premier STS primers, in comparison with other commonly-used primers, create reductions of up to 40 percent in the high-to-low spread of velocities in reloads. This resulting improvement in velocity consistency is an important benefit to those reloading target loads for practice or competition. 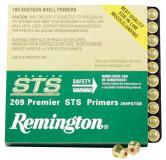 209 Premier STS primers can be substituted for Remington's previous 209P primers without changes in published reloading formulas. Check with powder manufacturers for recommendations.